This Polaris refresh is more of a side-grade than an upgrade, but it's still the best option in its price class. 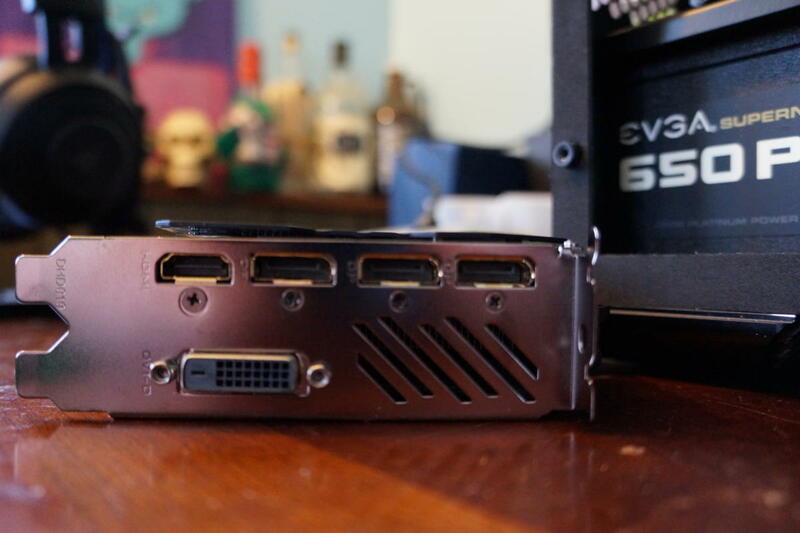 Meet the new sub-$200 graphics card boss, same as the old sub-$200 graphics card boss. AMD’s new Radeon RX 500-series graphics cards are here, and they’re most notable for what they’re aren’t. The Radeon RX 500 lineup doesn’t include the hotly anticipated Vega GPUs, nor are they really new at all. 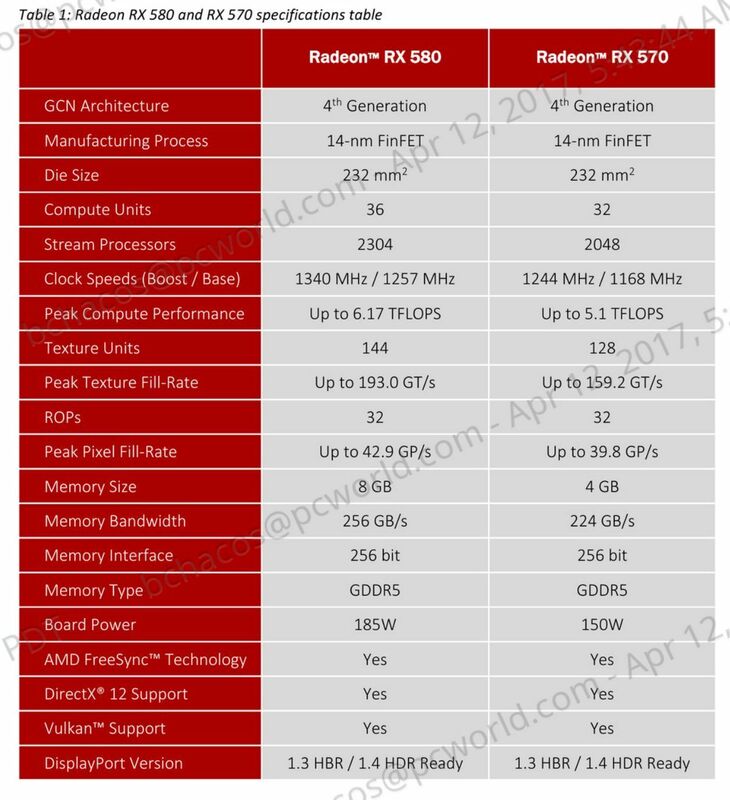 Instead, the Radeon RX 500 series utilizes a second-generation Polaris architecture compared to the original RX 400 cards (the RX 470, in this case). Yep, the $180 Radeon RX 570 is a refresh, not a whole new GPU architecture. That’s not necessarily a bad thing. The graphics card market is in a much different place now than it was when the Radeon RX 470 launched. You can actually buy the things, for one—the RX 470 and RX 480 were understocked (and therefore, overpriced) for months. Now that AMD’s Ryzen processors are finally here, people are thinking about upgrading. A refreshed Radeon lineup with a year’s worth of optimizations makes sense. But does it makes sense for you to buy a Radeon RX 570? Here’s a look at the technical specs for the Radeon RX 570 and RX 580 (we reviewed Sapphire's take on the latter). Little has changed from their predecessors. The Radeon RX 570 still has the same underlying GPU design, the same memory speeds, the same number of texture units, and—despite the chart below, which lists only one capacity—the same 4GB and 8GB memory options as the RX 470. It's $10 cheaper this generation, though, which greatly improves its value proposition compared to the $200, 4GB RX 580. Under the hood, the Radeon RX 570 sees very slight increases to its memory bandwidth, peak texture fill-rate, and peak compute performance, but the real draw here is the clock speeds. The original Polaris cards were pushed to the edge of their capabilities and didn’t have much overclocking headroom. Those manufacturing process optimizations let AMD crank Polaris’s clock speeds higher. Whereas the RX 470 ranged from a mere 926MHz base clock to a 1,206MHz boost clock, the new Radeon RX 570 rocks 1,168MHz base and 1,244MHz boost clocks. That’s not much of an increase on the high end but it’s a noticeable increase to baseline speeds, and AMD’s partners can crank things even further with factory overclocks. Those higher speeds don’t come magically; the Radeon RX 570 demands more power despite the optimized manufacturing process, with a 150-watt TDP compared to the RX 470’s 120W. AMD combats that with some software tricks, however. The RX 500 series adds a new power state that reduces energy demands when you’re idle, using a multi-monitor setup, or watching media, for example. 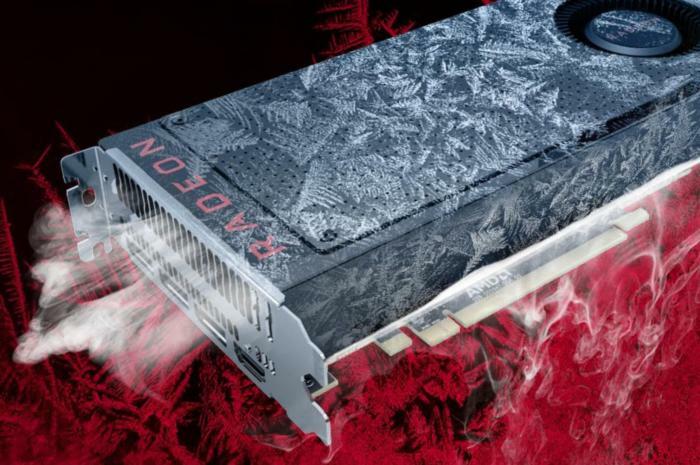 The wonderful Radeon Chill feature baked into AMD’s drivers can also reduce temperatures and power use by a significant amount in 17 popular PC games. As part of the RX 500 announcement, AMD’s also adding Radeon Chill support for League of Legends and Dota 2—two of the most-played games on the planet. There won’t be any reference versions of the Radeon RX 570 available, only customized cards by AMD’s hardware partners. That’s similar to how the Radeon R300-series refresh was handled coming from the R200 series. AMD says those custom RX 570 cards will be available immediately, however. The Aorus Radeon RX 570. 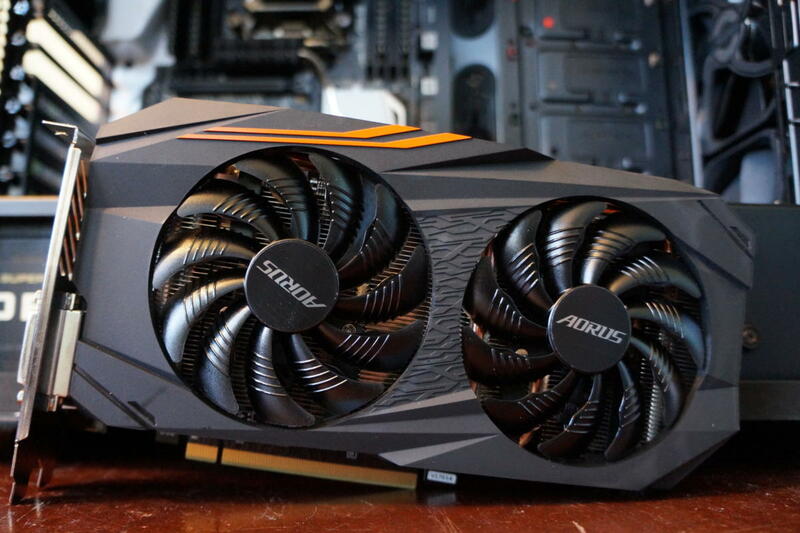 The version we’re testing today is Gigabyte’s Aorus Radeon RX 570 ($180 on Newegg), and it’s a swanky one. The card’s equipped with two of Gigabyte’s Windforce fans, over a decently sized heat sink imbued with four copper pipes that directly contact the GPU. 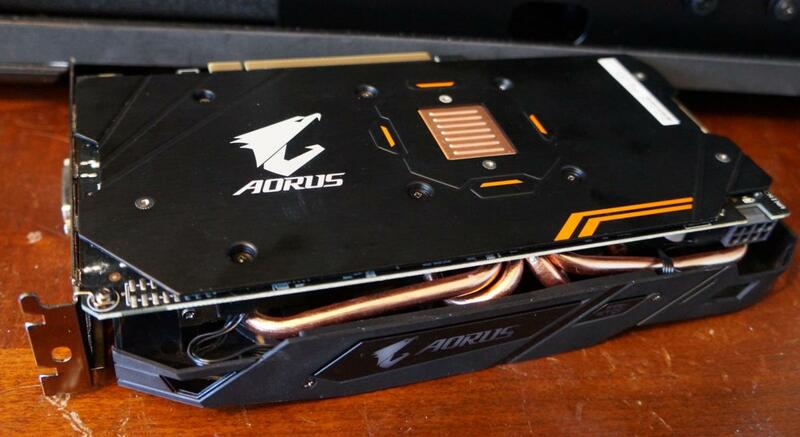 The Aorus RX 570 also features an RGB Fusion-compatible LED logo emblazoned on its edge, as well as an attractive backplate with “advanced copper backplate cooling.” Testing by Linus Tech Tips has shown that the copper square doesn’t really keep temperatures down, but hey, it sure is pretty. This is my first time handling an Aorus graphics card and I really dig the design. 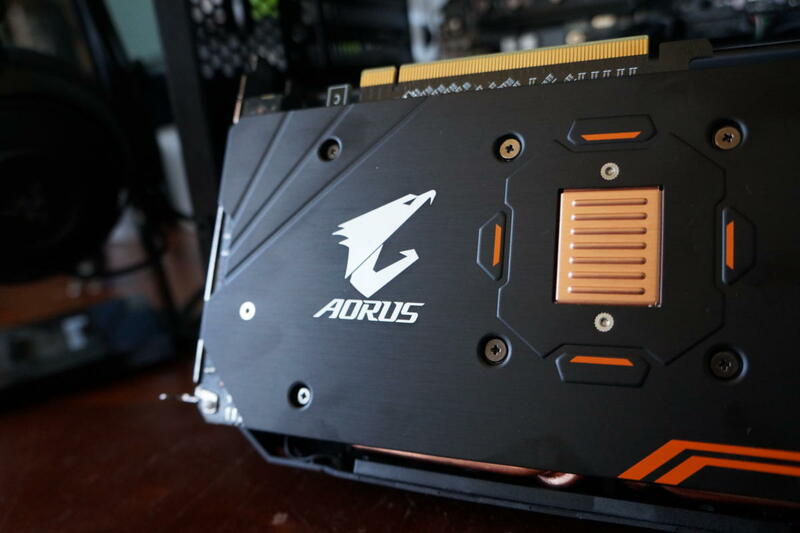 Port-wise, the 9.5-inch-long Aorus Radeon RX 570 offers a trio of DisplayPort 1.4 connections, a single HDMI 2.0 port, and DVI-D. It draws power via a single 8-pin connection, and Gigabyte recommends a 450W or greater power supply for the card.